Booth 4: "Unique this week"
Mohandas Gandhi was a famous political leader of the non-violent Indian Independence movement in the early to mid 1900's. 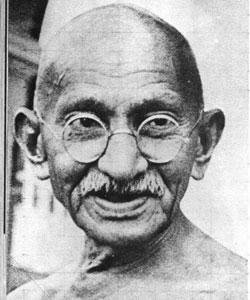 He is often referred to as "Mahatma" which means "Great Soul". He lived modestly and practiced non-violence and truth in all situations. Do you see the resemblance?